Your morning roundup for May 23, the day Beyoncé ran the world. 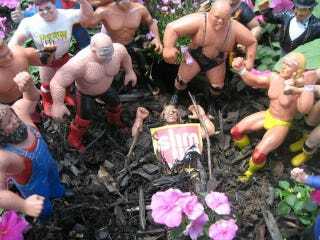 Staged Macho Man funeral via HuggingHaroldReynolds.com. And you thought Kegasus was the Preakness' biggest loser: Little kid loses big.